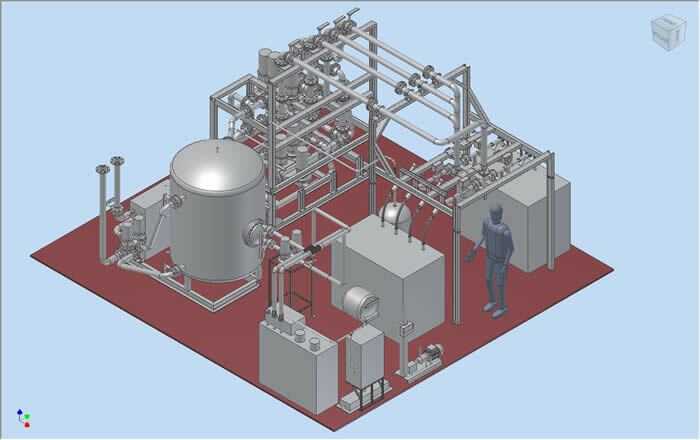 The GSHP plant is an integrated modular concept developed by Groenholland. It is built around a networked set of standard modules, each with it's own sensor and actuator package and controls. Plantroom installation works are limited to connecting the units hydraulically and electrically. Power distribution can be included with the main controller, while control cabling is limited to one network cable only. As the units are built, tested and commissioned off site a high degree of quality control is possible. At the same time, site works are minimized which allows for great flexibility and easy integration with the building process. Three basic system concepts have been developed, based on the thermal capacity requirement. The main difference between these systems is the way in which heating and / or cooling is provided to the building (seasonal changeover or simultaneous heating and cooling) and the heat pump technology selected (e.g. refrigerant reversible units). Perfomance can be improved further by incorporating a free cooling loop. Standard modules, depending on the specifications different circulation pumps and buffer capacities can be provided without changing the physical design. Energy transfer to the building using high efficiency plate heat exchangers offering great control over temperatures and clear system demarcation between GSHP and building system. This is important for instance in guarding medium (water) quality. Options for hybrid systems, including gas-boiler low temperature heating or additional cooling capacity to economically match building demand to plant capacity. State-of-art control software including Smart Cascading Control (systems with several heat pumps and/or gas boilers). Depending on the project the systems can be delivered as seasonal changeover units or as simultanuous heating/cooling systems and with reversible or non-reversible heat pumps. All systems offer free cooling as a standard option.